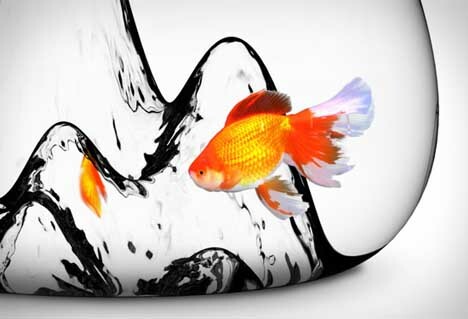 Probably the last pet you thought to pamper, but really, the look is more for you than for them – even if they find their reflections more interesting than frightening. 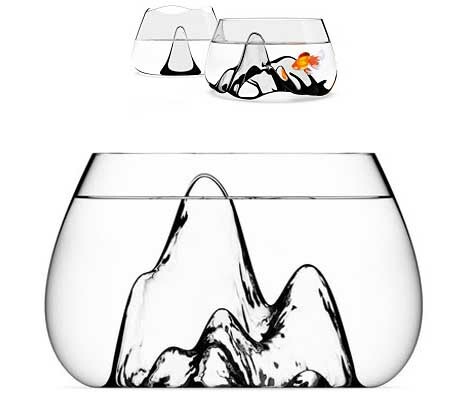 Designed by Aruliden, a rising landscape of miniature mountains is formed out of the glass base, turning the flat bottom into a rough-textured feature – a nod to Japanese calligraphy and other minimalist ink arts. 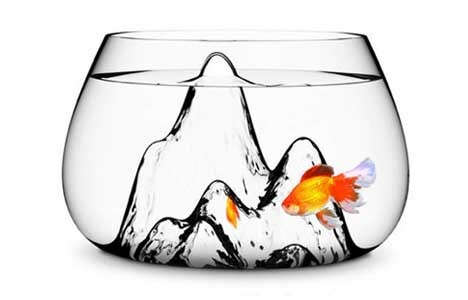 The otherwise-smooth bowl makes for easy views in, but distortions through the middle – a classic-plus-classy look with typical dimensions (2.5 gallons) suitable for a single fish friend (and maybe a partner).